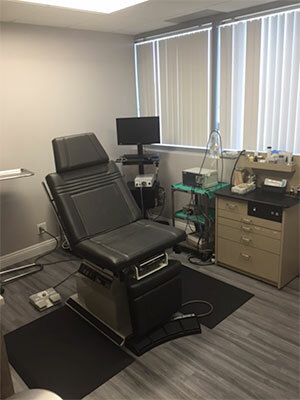 As a minimally invasive in-office procedure to relieve sinusitis, Dr. Alen Cohen has treated thousands of patients throughout greater Los Angeles and Southern California who are suffering from sinusitis. Sinusitis is an incredibly common condition affecting millions of people each year. Sinusitis is commonly caused by inflammation of the paranasal sinuses as may results from allergies, nasal polyps, chronic infection (bacterial or fungal), autoimmune disorders or from chronic nasal obstruction due to a deviated septum or enlarged turbinates. Sinusitis commonly results in sinus headaches, facial and sinus pain, chronic runny nose/postnasal drip, chronic cough, recurrent ear or eye infections, ear congestion or fullness, and even tooth pain. When Dr. Cohen performs in-office balloon sinuplasty, his goal is to help patients suffering from sinus related pain to feel relief quickly and with minimal disruption to their life. 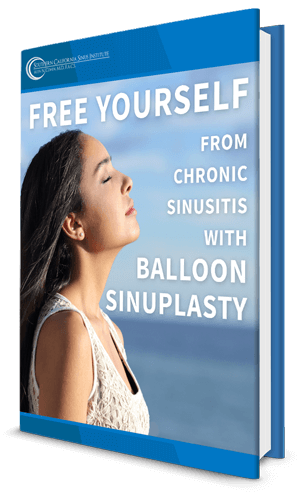 In order to do so, balloon sinuplasty is used to expand sinus pathways through reshaping the anatomy, and thereby restoring proper drainage capabilities. When patients undergo in-office balloon sinuplasty at our Los Angeles area office, Dr. Cohen will place tiny balloons into the sinus drainage openings and inflate them over a few seconds to help expand the sinus pathway permanently. Then the balloons are removed thus enlarging the sinus pathway; as such the likelihood of recurring infection or sinus headaches is significantly reduced. In-office balloon sinuplasty via Dr. Cohen’s minimally invasive technique does not require general anesthesia and is done in the office under local anesthesia via topical medications, and there is virtually no recovery time following the procedure. Dr. Cohen often performs the procedure on a Friday for patient convenience and patients are routinely back to normal activity over the next 24-48 hours. Los Angeles area patients who are particularly good candidates for in-office balloon sinuplasty are those whose sinus pain and infections do not resolve properly with medication and/or are truly tired of medicating incessantly and getting infections every 1-2 months. Dr. Cohen’s center in Los Angeles centrally located in West Hills has also been recognized as an Entellus Sinus Center of Excellence, and often Dr. Cohen trains various sinus surgeons from all over the United States on how to safely and effectively perform this procedure in the office under local anesthesia with little to no down time. He has successfully been performing the procedure in the office for the past 8 years since it was FDA approved and has now treated over 1000 patients and over 2000 sinuses! To find out if you’re a candidate for Dr. Cohen’s revolutionary in-office balloon sinuplasty with or without turbinate reduction, contact our sinus expert today. Also remember that most PPO insurances and Medicare prefer this procedure to more invasive sinus surgery in an operating room as it significantly reduces costs and copays for patients.